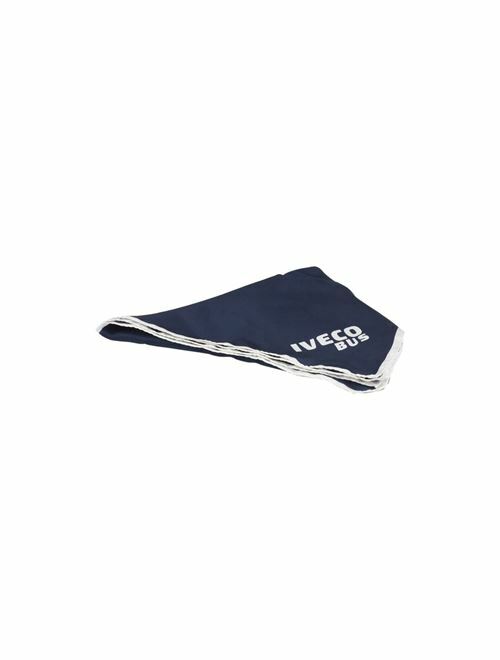 Navy blue scarf with white border. White IVECO BUS logo printed at an angle. This product is 'Made in Italy'. Dimensions: 60x60 cm. Material: 100% silk.